Music is an accessible and universal form of expression, and an important pedagogical tool at IDEAL Society. Over the years, the evolution of our music programs and activities has made it possible for a group of beginner and professional singers to form the Vera Choir and the Instrumental Ensemble. The choir pays special attention to its less experienced members, who by working within a stimulating group environment, benefit from solid musical training to fully develop their musical skills. The Instrumental Ensemble is composed of professional musicians from many nationalities. The repertoire of the Choir and Instrumental Ensemble includes sacred and folk music, classical pieces and original compositions by Gilles Hainault, the choir's director. Gilles also harmonized and arranged numerous melodies and themes by Peter Deunov (1864-1944), a Bulgarian philosopher, musician and accomplished violinist. Music instructors and members of the Vera Choir formed the Vera Children's Choir and the East Kootenay Youth Ensemble, composed of voice and string students of all ages and skill levels. The students regularly perform with the Choir and Instrumental Ensemble during our annual Christmas concerts. Please check the Events page for concert dates! 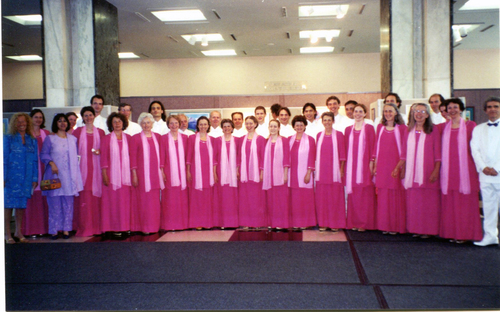 Since 2001 the Choir performed in Canada, France, Switzerland and at the United Nations Headquarters in New York City, as well as in several consulates and missions in NYC. In 2013, members of the Women's Choir received first prize for vocal group at the East Kootenay Performing Arts Festival.